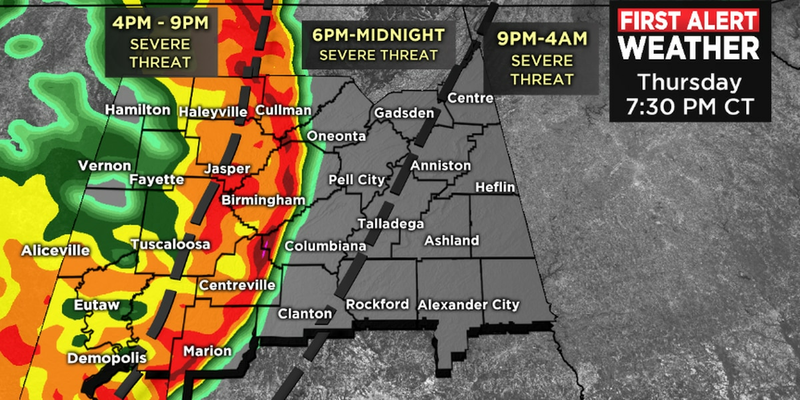 BIRMINGHAM, AL (WBRC) - A quick moving cold front will bring a few showers to the area overnight. Expect temperatures to fall into the 40s. Most of the rain will be gone by daybreak. The weather improves during the afternoon hours but expect a breezy day and winds blowing from the northwest at 10-20 mph. Highs in the low to mid-60s. Weekend Forecast: The weather looks a little cool but dry and sunny for the Rumpshaker 5K. Temperatures will be slightly warmer than normal and reach the lower 70s both days. We will see a few more clouds on Sunday as our Next Big Thing approaches from the west. Showers are possible on Sunday night. Storms return Monday: Models are showing another system moving into the area next Monday/Monday night. The greatest instability with this system looks to set up south of I-20 and mainly towards the I-85 corridor across southwest Alabama and west into Mississippi. 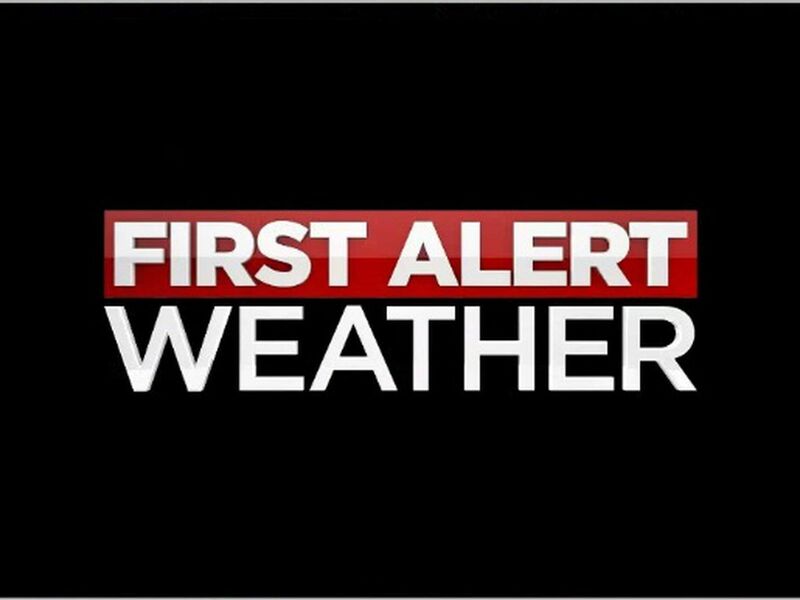 Keep up with this evolving forecast through the WBRC First Alert Weather app when you are on the go.